On the green frame of a little mountain town on the heart to the Oisans valley at 720m of altitude, come appreciate the calm and breathe the air of living preserved summits. Angélique and Grégory warmly welcome you to their 400m² Gite, set in 4800m² of gardens, where you will find 50 beds divided between 10 rooms (of 2-6 people) and a 10-person dormitory. There are 6 bathrooms which are for communal use. The gite has a large communal lounge with an open fire, a dining room, and a bicycle / ski store room. French shelter label 1 épi. Volley ball court, use of “petanque” balls, trampolines for children, sun-beds and deck chairs, optional hot tub (an extra), free wifi, free private parking. Whether you are visiting with your family and friends, colleagues, bikers or cyclist groups, you can enjoy half or full board with our locally-sourced, home-cooked food. We are also able to welcome holiday camps or school groups, with our Youth and Sports approval for 38 young people when accompanied by 9 adults. 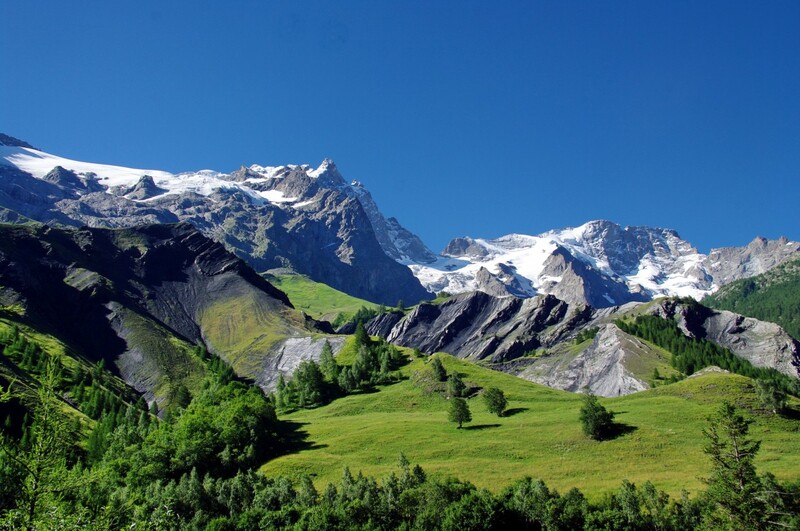 Le Vert is a small hamlet situated 2kms from the centre of Bourg d’Oisans ideal for cycling, hiking, mountaineering, skiing or geological visits. You can take advantage of a 360º view of the Belledonne Mountains, Alpe d’Huez, Les 2 Alpes, and the steep mountain road that leads to the small mountain village of Villard Notre Dame. Complete escape and relaxation are guaranteed! 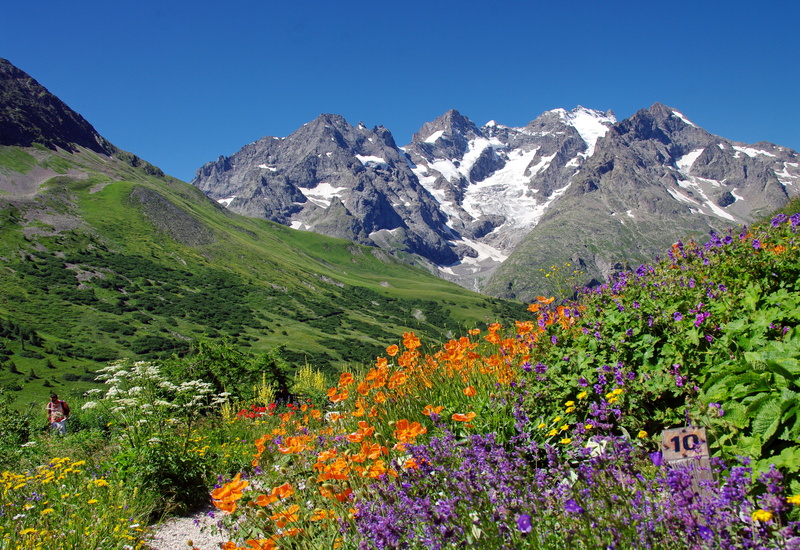 By exploring the diverse mountain trails in the area, you will be able to admire the protected flora and fauna in the Ecrins National Park, which is located on the GR54 route. 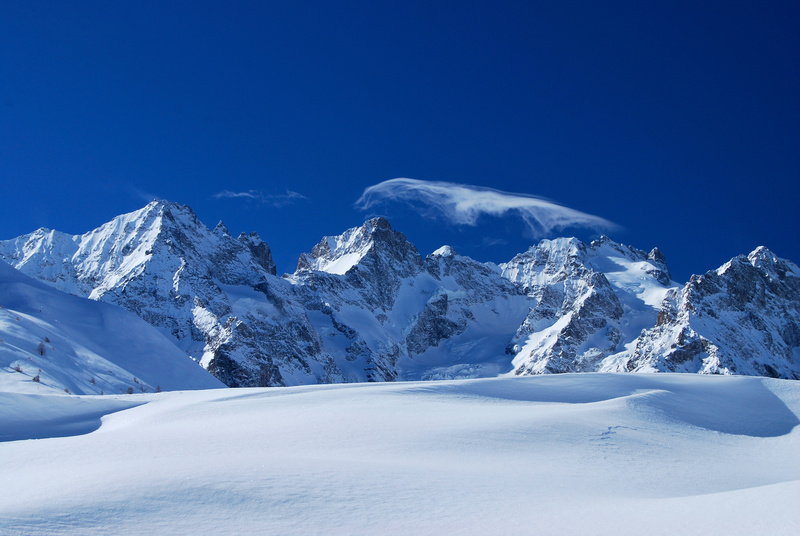 Nearby are the ski resorts of Alpe d’Huez, Les 2 Alpes, Vaujany, Oz en Oisans, Auris en Oisans and Villard Reculas.